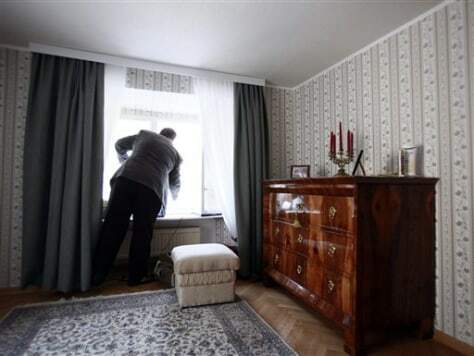 Robert Tidmarsh who lives in former servant quarters on the grounds of Schoenbrunn palace shuts a window of his apartment in Vienna, Austria, on Spet. 9. Tidmarsh lives on the premises of the UNESCO world heritage site that members of the royal Habsburg dynasty once called home when they ruled the Austro-Hungarian Empire. In Austria, unlike in most other European countries, several state-owned former imperial properties aren't just museums. They're now homes for ordinary citizens.